Incredibly amped to be making my debut at Boise Contemporary Theater playing the role of CHRIS in Clarkston by Samuel D. Hunter, directed by Lillian Meredith! Tickets are selling like hot cakes so make sure you snag some fast before they are all gone! Hunter is excited to be rejoining the production of Otello as one of the stage fighters after being a member of the production in 2015! Almost halfway through The Public Theater’s Mobile Unit National Tour of Sweat and I can honestly say it has been one of the most unique and incredible theatrical experiences I’ve ever been a part of. Take a peak at what impact this production is making in this article featured in The Washington Post! I am so incredibly excited to begin rehearsals this week playing the role of Jason in The Public Theater's Mobile Unit National Tour of "Sweat"! I had the huge pleasure of working with Jessica Osber Photography and getting some amazing new headshots! She's an amazing talent and a blast to shoot with and I could not be happier with how these photos turned out! I am incredibly excited to announce that my first short film I've written and produced, "The Creeper's Curse" has just completed filming! We are deep into post-production and I could not be more happy with the amount of hard work put in by our incredible cast and crew. For more information and updates, head on over to The Creeper's Curse official website! 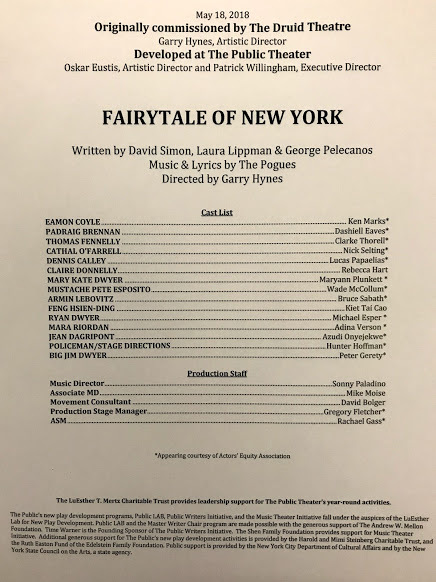 Had the amazing opportunity to be a part of a 29-hour developmental reading of “Fairytale of New York”, a new musical by David Simon, Laura Lippman and George Pelecanos with music by The Pogues, directed by Garry Hynes with The Public Theatre. Met some incredibly talented and wonderful people and can't wait to see where this Irish baby goes! Final Weekend of "Shakespeare in Love"
Closing weekend of Shakespeare in Love is coming up and I wanted to thank the entire cast and crew at New Stage Theatre for a wonderful experience! It was such a blast playing this role and escaping NYC for the last 5 weeks! If you're in the Jackson area you have four more chances to see this wonderful production! Thrilled to be joining New Stage Theatre in Jackson, Mississippi playing the role of William Shakespeare in the upcoming production of Shakespeare in Love. Performances begin April 17th and go till April 29th. So excited to begin the rehearsal process at the end of this month! 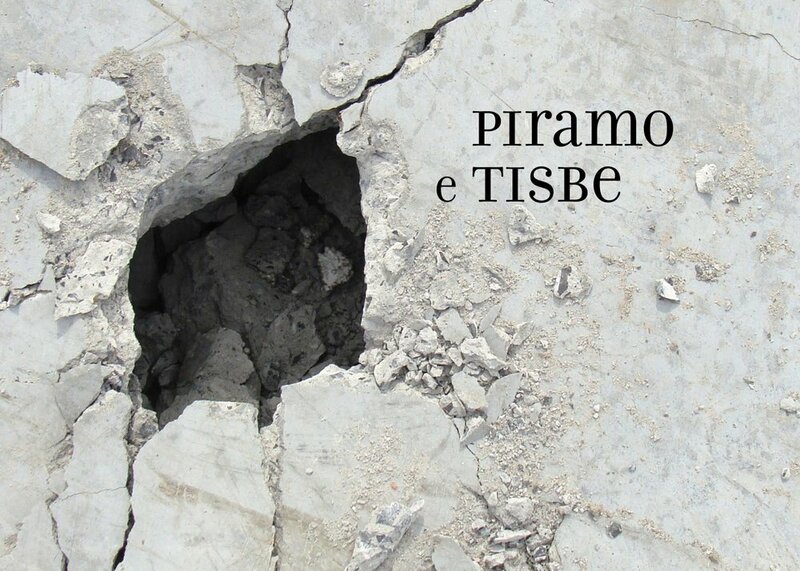 Very excited to be back at Little Opera Theatre NY as a Border Patrol/Body Guard and Fight Captain for the New York Premiere of Piramo e Tisbe directed by Philip Schneidman at Baruch Performing Arts Center from March 22-25th! Make sure to buy your tickets as they are selling fast! Super excited to announce, after being a guest and guest host numerous times, that I have been upgraded to co-host of The Cold Read Podcast alongside Ricky Ryan and Blake Rice! Make sure to subscribe to the channel to hear the latest episode every Friday morning. Rate, review, and subscribe! Excited to be accompanying my good friend, Clint Morris, on guitar and backup vocals for his upcoming NYC cabaret debut at The Duplex Cabaret and Piano Bar one week from tonight, November 2nd, at 9:30PM! Get your tickets before they are thrown to the wolves! So excited to announce that Cross Training: The Series has been officially selected for the New York Short Film Festival and will be screening on Monday, November 6th during the 6:30 PM block at The Cinema Village. You can purchase tickets for the screening here. A huge and hearty congratulation to the cast and crew as well as everyone else involved! I am thrilled to announce that I have signed with Stewart Talent in their commercial division! Can't wait to begin work with this fantastic agency! What a brilliant night celebrating the 30th Anniversary of Douglas Cohen's No Way To Treat A Lady with an incredible cast. So grateful to have been a part of this event alongside a true star studded cast, pictured below! Very excited to announce that I will be performing at 54 Below for the 30th Anniversary Concert of the Richard Rodgers/Fred Ebb award winning, theatrically charged musical "No Way To Treat A Lady" written by my former Neighborhood Playhouse professor Douglas Cohen on October 15th at 7:00PM! I am beyond thrilled to be a part of this cast along with such Broadway veterans as Kevin Chamberlin (THE ADDAMS FAMILY), Karen Ziemba (PRINCE OF BROADWAY), Brad Oscar (SOMETHING ROTTEN), Tovah Feldshuh (LEND ME A TENOR), Jill Paice (AN AMERICAN IN PARIS), Stephen Bogardus (BRIGHT STAR), Adam Grupper (FIDDLER ON THE ROOF), Jack Noseworthy (SWEET SMELL OF SUCCESS) and Christiane Noll (RAGTIME). Tickets and info below! Excited to be playing the roles of Adam and Super in the upcoming All About Eve Arts Festival at New Jersey Repertory Company in the play "Eviction" by Nancy Cooper Frank. Performances will be at 2:00 PM on Sunday, October 8th. Tickets can be found HERE. Ecstatic to announce that I have been cast in my Broadway debut to understudy for the role of "Jason" in the upcoming Broadway production of Sweat by Lynn Nottage, directed by Kate Whorisky at Studio 54!